Do you have ADD? Do you want to do more than survive with ADD? Instead would you rather thrive? 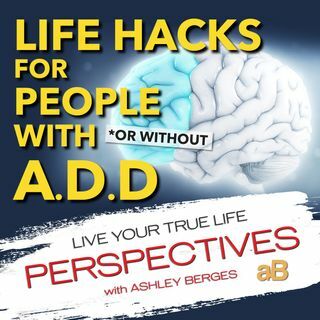 If you have attention deficit disorder and you want to be more successful in your day-to-day life you want to listen to this show. Ashley offers proven solutions to help you in your day-to-day life, to be more efficient, to use your time wisely, and to utlimately feel better about the work you do and your interpersonal relationships and personal life. When we look properly at ADD and work to create ... See More daily remedies, we live happier, healthier, and more productive lives that we can be extemely proud.